My starting point in this discussion of feminine and genius is one of the most provocative studies on genius and the Western tradition by Christine Battersby, whose diachronic and gendered reading of the notion of genius points, in my opinion, a way forward to the possibility of a feminist aesthetic that is no longer trapped by masculinist linkages of a phallic aesthetics with male virility. In her volume, entitled “Gender and Genius” which indeed adheres to Kristeva’s own notion of the third wave of feminism, Battersby traces the implementation of the notion of the male genius from the Greeks and Romans to the present in an attempt to delineate the contours of an aesthetic of an “écriture feminine.” Genius, I would argue with Battersby, is both etymologically and ideologically rooted in the masculine and not the feminine. So, then, what could Kristeva’s feminine genius be? Those critics and philosophers who work on genius, for example, Christine Battersby, Jochen Schmidt and Penelope Murray, trace the etymology of the word to two possible roots. One, Latin “genius“ denotes the divine forces associated with and protecting male fertility. genii are thus the spirits that are attached to the land, places, and natural objects that protect and ensure the longevity of the gens, or male clan. The other root is “ingenium,” a term associated with good judgment and knowledge, also talent, dexterity, the skills needed by an artist working in mimetic traditions. Battersby argues that “genius” as the logos spermatikos represents a Greek and Roman Stoic central concept that later enters into the Christian concept of God’s word and is far more influential in the semantic field of the word genius than “ingenium”. That is, the engendering aspect of the virile male is privileged over the idea of talent. If one looks at the usages of the word genius in 17th century, for example in Shakespeare, we find Macbeth complaining that his “genius is rebuk’d” (Macbeth III; 1) because he has been given a barren scepter and others will father a line of kings. There is much more to be said about this, but at this point I would like to turn to Kristeva and her essay “Desire in Language” (1975) to begin my investigation of her notion of the revolution in poetry and the relevance of this notion of revolution for the potential of a feminine genius. In this essay Kristeva begins to concentrate on the possibility of a psychological liberatory moment through the recognition of primary narcissism’s access to the semiotic and the “choric” (chora) moment in poetic expression. In “Desire in Language” Kristeva sets up her philosophical paradigm against the phenomenology of Edmund Husserl and the necessary positing of a transcendental ego in the thetic consciousness of the subject in process. This “thetic” consciousness is necessary in that “any linguistic act, insofar as it sets up a signified that can be communicated in a sentence (and there is no sign or signified that is not already part of a sentence), is sustained by the transcendental ego.” (DiL p. 99) Kristeva argues that the Husserlian phenomenological argument can be understood (translated) into the processes of the subject “as operating consciousness” by drawing on the insights of generative grammar and linguistic understanding thereby countering her contemporaries’ deconstructive attacks on the possibility of such a transcendental ego and its communicative object. In other words, the Husserlian move for Kristeva (at this point) allows her to posit the “thetic” nature of an utterance and then move to the problem of the remainder of poetic language which would seem to exceed its communicative purpose and the recognition of the constraining forces of socializing elements. This realization is of course nothing new: poetic language is by its very definition a “poesis”–a creation, something new and original (see, for example, the poetic language of Hölderlin, Nietzsche, Karoline von Günderrode) that moves beyond the boundaries of rational discourse. However, what is revolutionary is Kristeva’s link between psychological process of maturation that would see the access to the semiotic in terms of the subject-in-process, the figuring of the feminine maternal chora as at once a privileged motif and as a disruptive and productive force of revolt and resistance. In contrast to the semiotic, rhetorical writing has been seduced away from the maternal. In Desire in Language Kristeva identifies the problem with philosophical discourse today (and one might suspect the trace of Derrida here) in France as being its narcissistic fascination with itself. Counter to the seductions of philosophy, the stylist (Kristeva echoes Nietzsche in describing the writer who accesses the semiotic chora) no longer needs to seduce the father, may even take another name than the father’s but assumes the role of the “permanent go-between from one to the other, a pulsation of sign and rhythm, of consciousness and instinctual drive.” (p. 107) The semiotic for Kristeva constitutes the means to override the constraints of a civilization dominated by transcendental rationality. By avoiding the traps of symbolic language, the semiotic emerges as “musicated” language, poetic language that laughs back (echoes of Nietzsche again) at the symbolic’s drive to the mastery of meaning. I would now like to move on to the third part of my talk, namely that on translation. If we understand translation as an act that attempts to move meaning either intralingually or interlingually, then how do you move the remainder of poetic language, that which is beyond signification? In her important work on translating feminist philosophy and ecriture feminine, both styles of writing that intentionally access the semiotics of the “chora”, Luise von Flotow investigates the complexities involved in translating “sense” language, the semeion, as opposed to symbolic or rhetorical language. In her essay “From Sense to Sound” von Flotow describes how following the tradition of translating nonsense nursery rhymes from French into English, translators have been faced with the task of searching for an equivalence if not in the semantic realm then in the semiotic for the “emotives” that signal pre-oedipal communication. Drawing on the techniques of translating children’s nonsense verse, von Flotow analyses the rendering into another tongue of feminist philosophical texts that challenge the symbolic order of the Father. In order to achieve this, she argues, the translator must face the question of “translating the sensory” to use Kristeva’s phrase, by employing mimetic and enunciative translation, sacrificing sense to sound in the attempt to echo the semiotics of the original. “They teach me that, even when native, the writer does not cease to be a translator of his unveiled passions, that the fundamental language that he takes pleasure in translating is the language of the sensory. And that this unnamable foundation, this rumor of our fibers and our dreams, never allows itself to be absorbed or reduced in the codes of schools, clans, institutions, or media.” (Intimate Revolt, p. 246) For Kristeva, then, this translation of desire subverts the rhetorical, as she has termed it. It represents a revolt in language, beyond the realm of the institution. The first option might be possible if, as according to the sub-field of semiotics in Translation Studies, we consider languages to be systems of signs, of semiotika. In this case a system of relations between signs might be moved as meanings to a target language. But, as Umberto Eco has pointed out, such a system presupposes a perfect language that both source language and target language mysteriously point to. That is, in order to express in language A a concept that appears in language B one has to refer to a language X in which concepts from both A and B can be expressed perfectly. Walter Benjamin was to refer to this language in his essay “The Task of the Translator” as the pure language, “die reine Sprache,” that lies mystically behind every attempt at translation. It is this pure language that semioticians refer to when they speak of the translatability of the semiotic, the possibility of the entrance into the symbolic of that which lies in the chora. In her essay “Translating the Sensory” (Intimate Revolt, p. 240 ) Kristeva calls upon this trace of the foreign, the other, the semiotic, to be “jarring to the natives.” Here Kristeva speaks of her relationship to her adopted language, French. It is, she claims, “an act of politeness among people who share the same rhetoric, the same accumulation of images and sentences, the same arrangement of reading and conversations, in a stable society. (p. 243) However, her insertion of the strange, her use of this polished stone of language frustrates native speakers as it reveals the “monster”, it exposes her “who takes pleasure in never being content”. Kristeva regards herself as the metisse, the hybrid monster, the “Blendling” as Schleiermacher termed it in his essay on translation, who straddles two chairs of national reference. And rather than reject this metissage, she embraces it; it signals the death of the maternal tongue, Bulgarian, “this warm and still speaking cadaver” (p. 245), it marks the death of “ the vague plural meanings of the Bulgarian idiom, insufficiently severed from Cartesianism, in resonance with the prayer of the heart and the darkness of the sensory” (p. 246). Kristeva’s relationship to French is a love for the “sensory language, a language not of signs but of marks, quotations, pulsations impressions sorrows, and ecstasies– the marks, as she claims, of true foreignness. If we are to accept Hjelmslev’s proposition, as set forth in his Prolegomena to a Theory of Language, that ‘a language is a semiotic into which all other semiotics may be translated’ since in a language and only in a language, can we work over the inexpressible until it is expressed” (p. 109), then the question of the translatability of the semiotic, the translation of genius might be best addressed by how the target language, or in Kristeva’s terms, the symbolic will change, how in the future it will be able to express that which is sense. It is in this way that Kristeva offers us a translation of genius, of the particular, the individual in her embrace of her own position of otherness and her act of translation, not of the logos spermatikos, but rather of the chora. The quality of genius then lies not only as Kristeva argues in the transcendence of the sociopolitical context in which the feminine finds itself, but also in the transcendence of the givenness, the thetic quality of the target language and the act of revolt to change, to explore, its linguistic malleability. Such a notion of the futurity of linguistic change might then challenge the walls of ungenius, of the bedint, the quotidian, and as Kristeva urges us, give us the means to express our feminine genius. Ils m’apprennent que, même autochtone, l’écrivain ne cesse d’être un tradacteur de ses passions dérobées, que la langue fondamentale qu’il se plait à traduire est la langue du sensible. Et que cet innommable fondement, cette rumeur de nos fibres et de nos rêves, ne se laisse jamais entièrement résorber, jamais réduire dans les codes des écoles, des clans, des institutions, des medias…” (Julia Kristeva, French Studies LII October 1998:4, 389). 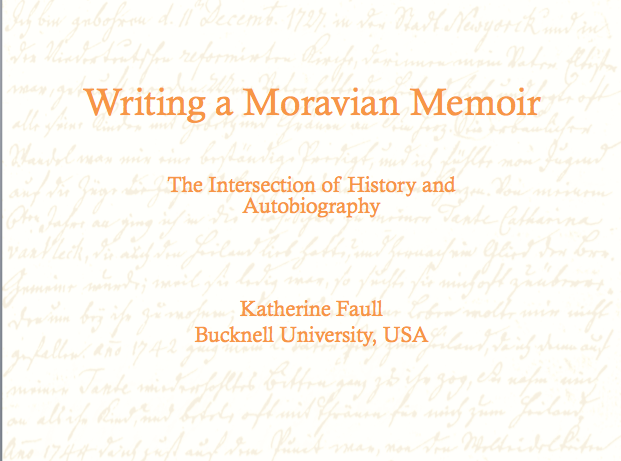 I delivered this seminar paper via Skype to a group of European scholars interested in ways of reading and analyzing Moravian memoirs. The two day seminar was entitled “Life-writing and Lebenslauf: Pillars of an invisible church” and was organized by Dr. Christer Ahlberger, in the faculty of History. 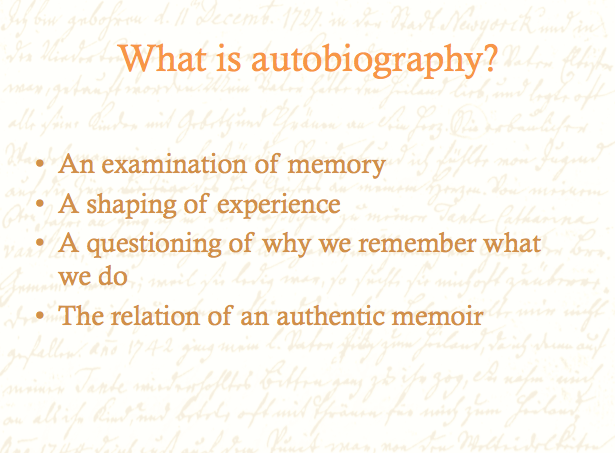 In this paper I discuss ways of thinking about autobiography and the Moravian memoir, both as a radical act within the history of the genre and also, when analyzing the memoirs with the methods of DH, as a radical hermeneutic to reveal new voices in the historical record. I am re-posting on my personal site my blog entry for my class site for The Humanities Now! These are questions that I have been thinking about a lot, and my reading of Johanna Drucker’s Graphesis has really helped to crystallize my ideas. I am so happy that she will be coming to Bucknell in April of 2015 as part of our Humanities Institute on the Digital Humanities. 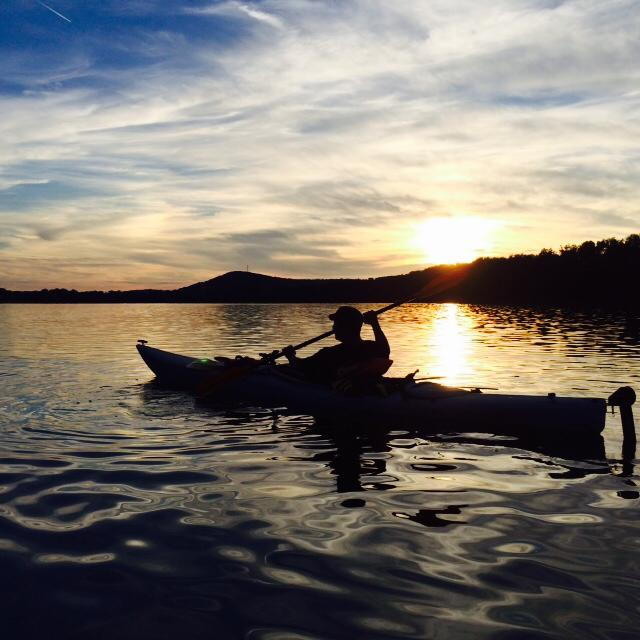 Kayaking is not just a sport to Hickory Edwards of the Onondaga Nation. It is his way of reviving his nation’s knowledge about its own history and the environment, and also raising public awareness about the ties of the Haudenosaunee to the land. This summer, the coordinator of the Onondaga Kayak and Canoe club decided to retrace the steps and paddle strokes of his forebears by kayaking first from Buffalo, New York along the Tioughioga to the Chenango river to Onondaga on a trip that became known as “The Journey to the Central Fire” to recognize Onondaga’s central position in the “Long House” of the Six Nations. While attending the annual four-day reading of the Haudenosaunee’s “Great Law of Peace” Edwards listened to the words that had been recited so many times about the planting of the Tree of Peace that had brought unity and concord to the then five warring nations of the Iroquois. Seeing that tree in his mind’s eye, Edwards realized that its spreading white roots were actually routes of peace, traditional waterways that spread out from the center of the Haudenosaunee world, waterways that would take him to the sea in whatever direction of the compass he chose to go. Although prepared to paddle over 500 miles alone, Hickory Edwards could not help but attract support from wherever he went. Joined five days into the journey by fellow kayaker, Noah Onheda and supported the whole way down by his parents acting as ground crew, Edwards described the highlights of the trip down the Susquehanna. 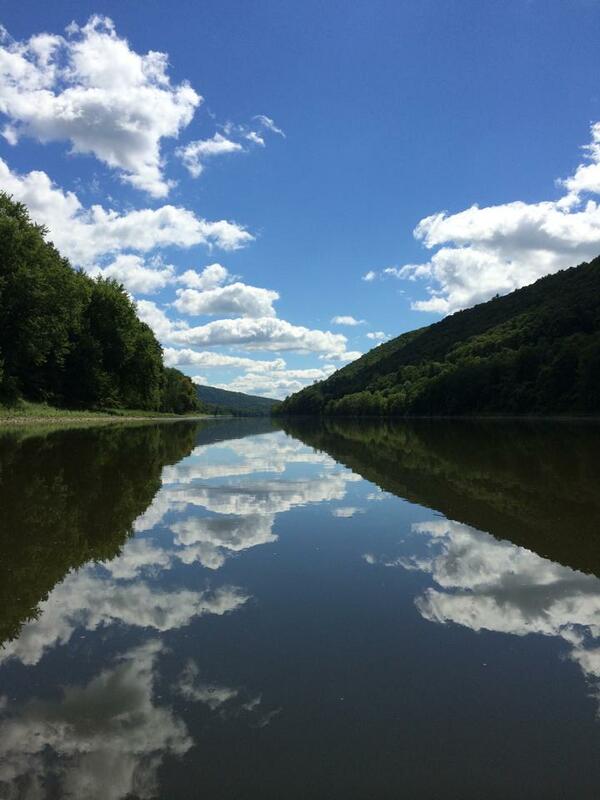 For example, standing at Indian Rocks just north of Wyalusing, where Handsome Lake, religious leader of the Six Nations in the late 1700s contemplated the spiritual future of his people. Or the petroglyphs at Safe Harbor that represent powerful, ancient things, carved into what looks like a little Turtle Island in the river. “This is what we must do,” said Edwards “relearn the waterways of our peoples to know where these places are.” Following what he called the “white route of peace” south, Edwards claimed they never had one bad night. 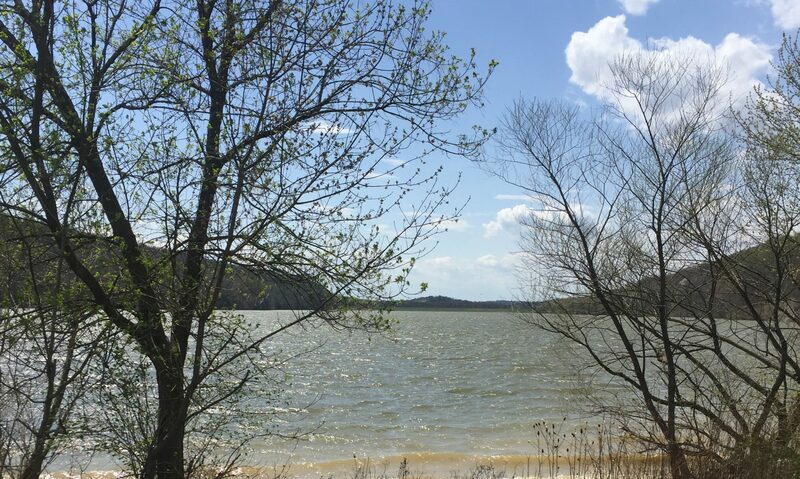 “The water was good to us all the way down.” Well, except the very last day, when the winds on the Chesapeake Bay picked up and the waves rose so high around the kayaks that Edwards lost sight of his paddling companion Noah for the height of the water. “Maybe the waves didn’t want us on the water that last day,” Edwards mused. Despite the wind and tide and waves, they made it to Sandy Point State Park, just outside Annapolis, Maryland where they were greeted by representatives of the National Park Service, Deanna Beacham and Suzanne Copping, and treated to a meal, big enough to sate any epic paddler’s appetite! Having not really used their legs for nearly three weeks, walking over 30 miles from Annapolis to Washington DC was no easy feat. But, they did it. 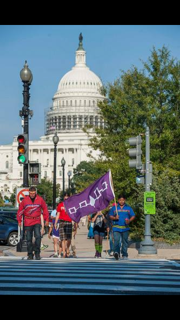 Arriving at the nation’s Mall and the NMAI was a historic moment, with the Haudenosaunee flag flying high. “We did it,” he said, “we came from our capital to yours to see the historic treaties.” And they had even brought water from the spring on the Onondaga Nation land to water the tobacco plants in front of the museum. And it is along those life-giving waterways that Hickory Edwards will continue his personal quest.